Microsoft admitted it was abandoning the "Metro" name to describe its design language for Windows 8 in August after threats of a potential lawsuit from a German company surfaced. At the time, Microsoft claimed "Metro" was merely a codename used during W8's development, and that it would switch it to a broader term closer to launch was always part of the plan. Since then, Microsoft has adopted terms like "Windows 8-style UI," "New User Interface," "Windows 8 design" and "Windows 8 application" in place of "Metro." Now, new information has surfaced indicating Microsoft is once again flip-flopping on the name of its UI design in the wake of ditching "Metro." Based on terminology discovered in Microsoft's app design guidelines for Windows 8, it appears the company is opting for "Microsoft design style" as the final replacement for "Metro." Any and all mentions of "Metro" have been seemingly stricken from the record, as Microsoft readies itself for the consumer launch of Windows 8 on Oct. 26. Curiously, the new term isn't capitalized, giving some credence to the thought the title is more of a descriptor than an actual branded name. For now, consumers and developers are stuck with this new branding, which doesn't exactly speak to simplicity like "Metro" or Windows 8 and Windows RT. 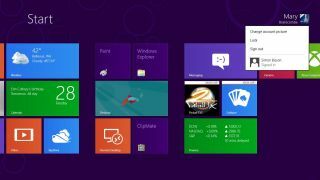 Having already gone through nearly half-a-dozen different names just to describe the look of the Windows 8 user interface, it wouldn't be that surprising to see yet another change happen in the future.